Significant improvements have been made across the board, with Hyper-V now supporting increased cluster sizes, a significantly higher number of active virtual machines per host, and additionally, more advanced performance features such as in-guest Non-Uniform Memory Access (NUMA). 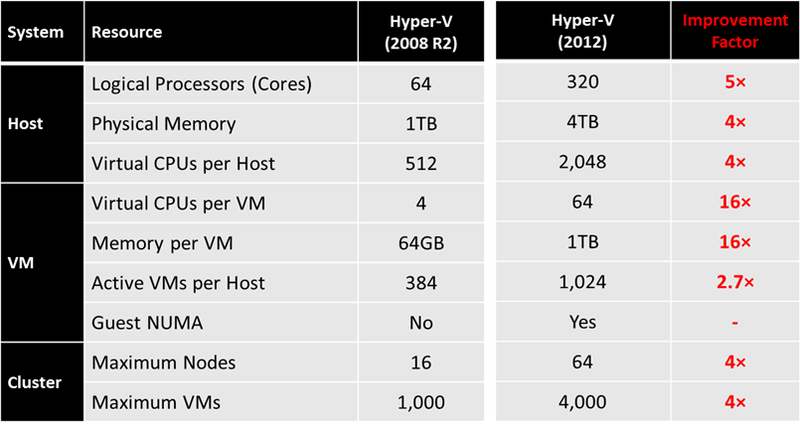 The table also shows that both Windows Server 2012 Hyper-V and vSphere 5.0 Enterprise Plus deliver up to 1TB of memory to an individual virtual machine, however, one aspect to bear in mind when creating virtual machines of this size, is the vRAM (Virtual Machine Memory) entitlement with vSphere 5.0. This would leave only 96GB of vRAM for use by other virtual machines, restricting scale. 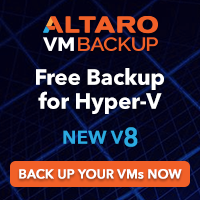 The only option to overcome this would be for the customer to purchase additional vSphere 5.0 licenses at considerable expense. 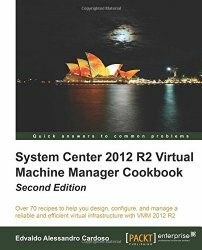 This is on top of the extra administrative overhead of monitoring and managing vRAM entitlements. 2.Maximum VMs on a Cluster (Resource Pool) on XenServer 6.0 based on a maximum of 50-60 concurrent protected VMs per host with HA enabled. 3.Host physical memory is capped at 32GB thus maximum VM memory is also restricted to 32GB usage. 5.vSphere 5.0 Enterprise Plus is the only edition that supports 32 vCPUs. All others support 8 vCPUs within a virtual machine.